A haunting peek at the life of a teenage girl in 1950s New Orleans. --Entertainment Weekly It s 1950, and as the French Quarter of New Orleans simmers with secrets, seventeen-year-old Josie Moraine is silently stirring a pot of her own. 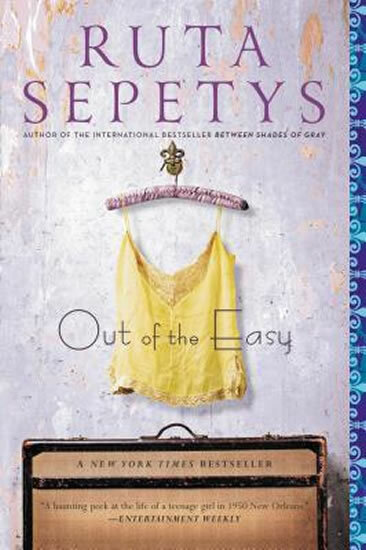 Known among locals as the daughter of a brothel prostitute, Josie wants more out of life than the Big Easy has to offer. She devises a plan get out, but a mysterious death in the Quarter leaves Josie tangled in an investigation that will challenge her allegiance to her mother, her conscience, and Willie Woodley, the brusque madam on Conti Street. Josie is caught between the dream of an elite college and a clandestine underworld. New Orleans lures her in her quest for truth, dangling temptation at every turn, and escalating to the ultimate test.With characters as captivating as those in her internationally bestselling novelBetween Shades of Gray, Ruta Sepetys skillfully creates a rich story of secrets, lies, and the haunting reminder that decisions can shape our destiny. "